Whether you are looking for the opportunity for a leisurely round of golf with your friends, family, or guests, or if you desire a competitive experience, Avon Oaks golf offers a variety of options for men, women, and junior players. 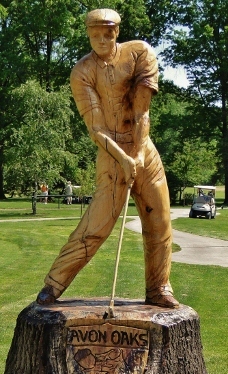 For the competitive golfer, there are many golf events held seasonally for both men and women. Men can compete in six major events each season, weekly men's association events, our Wednesday Shootouts and the highlight of the season, the Men's Golf Invitational. The Women's Association hosts weekly golf tournaments as well as club championships.